Sometimes you listen to a song or a band that really strikes your ear in such a way that you instantly know it’s going to be a new standard in your regular rotation. Today’s band has been around a while, but didn’t really hit any mainstream until recently. I heard them back in 2005 for the first time; I’ve been hooked ever since. Front man Dan Auerbach and drummer Patrick Carney met when they were eight years old living in Akron, Ohio. Living in the same neighborhood and coming from musical backgrounds solidified their friendship a young age. While they had very different interests outside of music—Dan was captain of the soccer team while Patrick was a social outcast—music always brought them back together. Adopting the name The Black Keys from an artist diagnosed with schizophrenia, the duo was on their way. Their first gig was in a Cleveland ballroom in front of eight people. Their first album released in 2002 to no real success or fanfare. 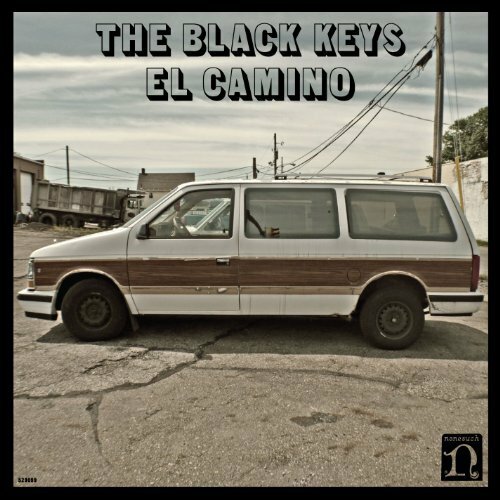 Fast forward a decade and I’m listening to El Camino, their seventh studio release from December 2011. One year prior to this release they began working with producer Danger Mouse and changed their style a bit. They went from blues-rock to a hybrid version that included some up-tempo sound and was a bit more poppy. The move was a good one. They won their first Grammy Award in 2011 and forged a new direction for the band. El Camino was a follow up of sorts, being a bit more polished than their previous albums – moving away from the garage rock and into a fully legit rock band. The result was complete critical acclaim. Five Grammy nominations and three wins later, the band’s shift in theme really paid off. Sales wise, it’s Platinum in the states, with another five million or so sold worldwide. It is their best-selling album to date by a wide margin. For some reason, talking about my favorite bands is always harder than talking about those I’m less familiar with, but I’ll give it a try. First and foremost, their entire catalog is outstanding, and their early work was truly a return to rock music. 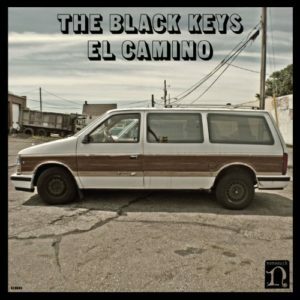 Albums like El Camino are a significant departure from that early work, but they still always pay tribute to their roots, in spite of a more pop appearance. Their live shows might be the absolute best I’ve ever seen. A duo on stage doesn’t necessarily give you the live hyped atmosphere, so they work their tails off to impress. Seeing Carney whale on the drum set, often putting on an extended solo—its truly a sight to see. Often times you hear new music on the radio and it all just sort of blends together. That is the furthest thing from the truth with The Keys. Their sound is a blend of 70’s rock with modern composition, but still manages to give you that excitement when you first heard them out of the garage—unique is an understatement. Now that I’ve thoroughly nerded out about one of my favorite bands, give them a try today. You’ll note that it’s the physical album today for $5.99, a tremendous value. Even if you’re a lonely boy, this will be sure to pick your spirits up. Awesome Album. Most of these songs made my top 25 most played on iTunes. Sleeper pick for a song is definitely Mind Eraser. Last track on the Album. Agreed, I love this whole thing start to finish. Initially it was such a departure from the ‘older’ Keys albums that I had to put it aside for a bit. But when I picked it back up, was shocked at some of the maintained garage sound. Turn Blue was a great follow up as well! Thanks for the comment!